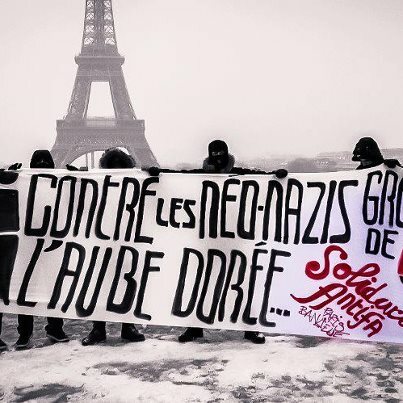 1/19/2013: Paris, France – Solidarity for greek antifascists from Paris during International Antifa Action Day. 1/19/2013: Antifascists showing support during International Antifa Action Day in Dublin, Ireland. 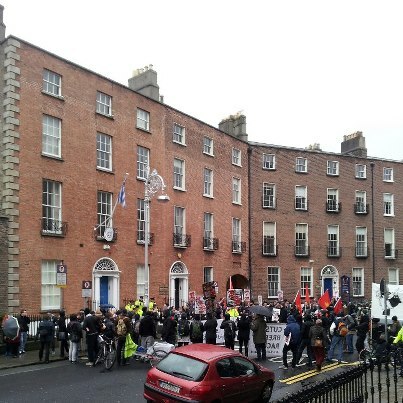 Anti-fascist demo at Dublin’s Greek embassy. Happening now and all over Europe. Beat the dirt down! 19.01.2013: Leipzig, Germany – Antifascists demonstrate to show their solidarity with Tim H and Greek antifascists during International Antifa Action Day.